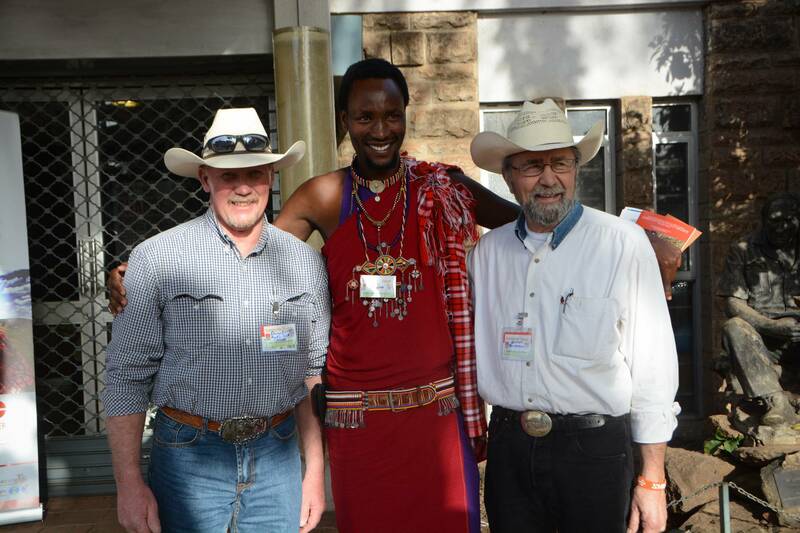 So how does a rancher/logger (the order of which depends on which profession is supplementing the other) from western Montana come to find himself in Kenya with another rancher/scholar (Johnny Sundstrom) and a group of academics with varying degrees in varying disciplines? Well I guess it all starts with the fact that for nearly 20 years I’ve been a board member of an organization called the Blackfoot Challenge which is a watershed group led by ranchers and business people but also involving all the government agencies that work within our watershed to tackle tough issues that affect our rural way of life. Those include land fragmentation, human/wildlife conflict, weeds, water quality, education and whatever else our communities come up with. Over all those years I’ve had the opportunity to meet and interface with like-minded folks from all over the US. Our organization has become a model for successful conservation that starts from the ground up and so we get invited to share our model in many other places facing the same issues because we’ve been able to facilitate the bringing together of all interested parties to begin to solve these tough issues. That’s how I met Johnny Sundstrom who’s late son Shiloh had spent much of his time in graduate and PhD pursuits tramping all over Maasailand in the south of Kenya. After his untimely death, Johnny wanted to assemble a team to go to Kenya and follow up on his work. Since the Blackfoot Challenge had been collaborating with Johnny’s connections to various organizations including Oregon State and Colorado State, we got the call to send someone along on the trip. I was asked and immediately said yes. That’s the short answer to my first question in the blog. The second question I had for myself and the group was, what could I contribute to this trip? I still didn’t know the answer even as we all finally met one another in Kenya. As we traveled the countryside following in Shiloh’s footsteps, I began to see what I might have to offer. These pastoralists (cattle ranchers) were facing the very same issues that I face at home. Just like here at home, they are struggling with extended and more frequent drought (“climate change”). By the way, I was probably the only conservative in the group, albeit I’m mostly a right-leaning moderate, and so I have to put “climate change” in quotations just because. But even the most conservative ranchers I know recognize that the climate is changing. But I digress. 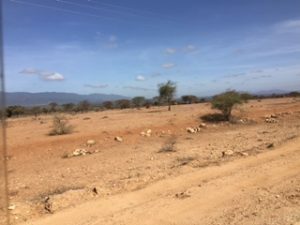 They are also struggling with wildlife issues and invasive species and really what it always comes down to for us living off the land: How do I survive these challenges and continue to feed my family? And how do we continue this way of life for future generations? I immediately recognized that they needed to destock since they have so many cattle and not enough grass to keep them in good flesh. Their chief complaint was that their cattle weren’t worth much, if they could sell them at all, so I kept asking the question of them: Aren’t 5 fat cattle worth the same as 10 skinny ones? I was merely trying to get them to think outside the box. I didn’t ask for an answer. I just posed the question. I thought I was so smart until Nickson, one of Shiloh’s friends and one of our guides and a cattleman himself said, “You see Denny, your status in society is determined by the number of cows you have.” Well hell, how do you fix that?! 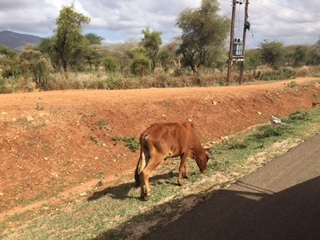 So, I thought, they have this great social structure involving a community of ranchers all coming together to determine where and when they will graze their cattle on their group ranches… Shouldn’t they be able to all agree to destock proportionally so everyone keeps their order in society? I’m so smart! We’ll see how damn smart I am when I suggest that. I’ll let you know how that goes. In my next blog, I’ll try to communicate the wonderful relationships built through this trip with the team and the people of Kenya. It was the best part!